Forget what Attenborough said, this is Life in the Undergrowth! 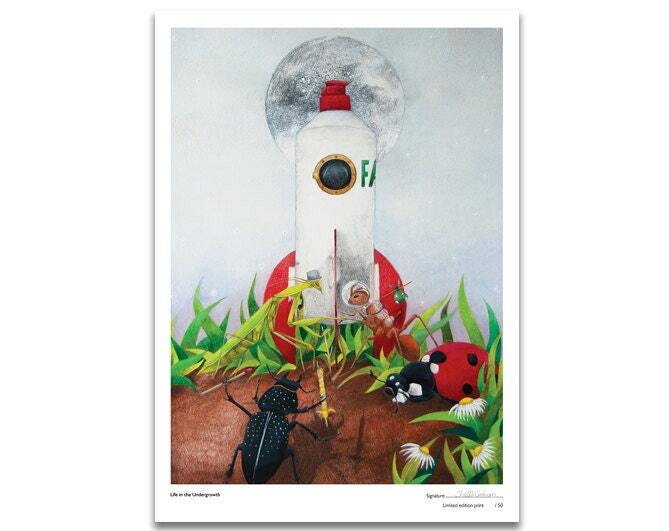 Mantis and the most adventurous of ants finds a discarded rocket. 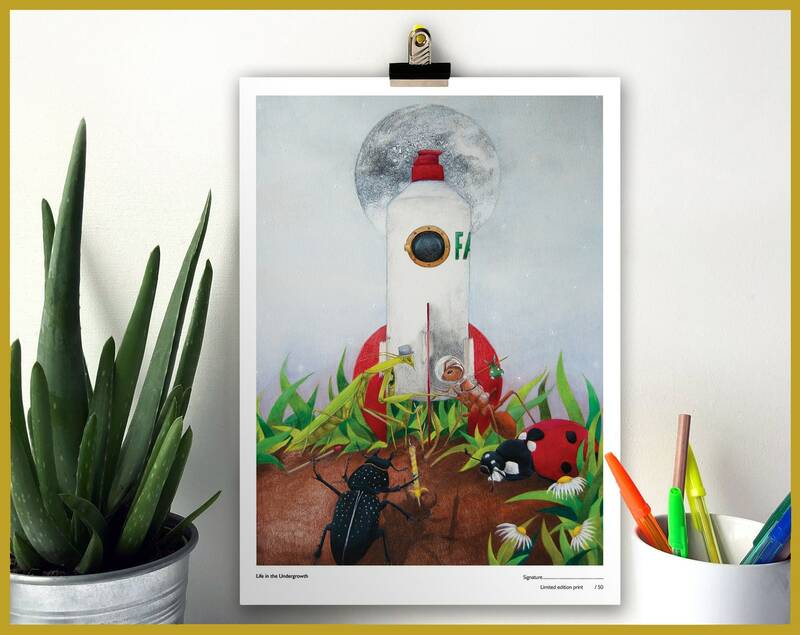 This illustration captures the moments just before they venture off into space! The original illustration was created using pencil crayon, graphite, water colour crayons and white acrylic. The image measures 38cm x 27.5cm (15" x 11" with enough white space around the edges for framing (overall packaged size is A3). Each print is signed and numbered. 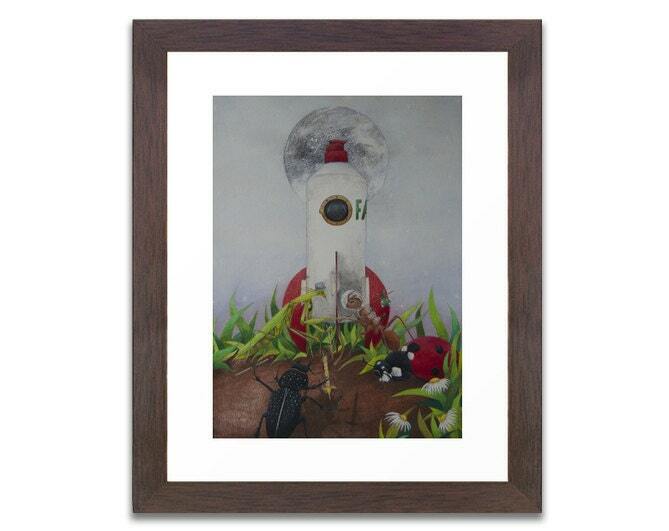 A limited edition print of Life in the Undergrowth would make a great gift... or a lovely treat for yourself!